There is a lot to think about when considering whether or not to get a psychic reading, let alone deciding which one to schedule with. Having personally interviewed/worked with hundreds of psychic practitioners over the years, there are definitely some tips I can share with you. This kind of thought process is setting yourself up for failure. You (nor the psychic/medium) get to decide what information comes through or even what loved ones come through. The best thing you can do is to relax and allow the energy to flow. 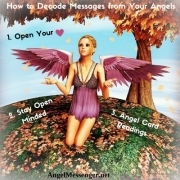 It’s okay to be a little nervous at the beginning (especially if you’ve never had a reading before), but you want to let go and allow your energy to connect with the reader; allow your guides, Angels and loved ones to connect with the reader. If your energy is sealed tight and you are not willing to be open to the information coming through, your reading will likely not be very good at all. You want information. Instead of asking a yes or no question, ask something more open ended. Instead of asking, “Will I get the promotion I applied for?” Try something like, “How can I move forward on my career path?” Also, Do Prepare Questions (& Write Them Down). Even if you think you already know what to ask, you may forget once you get into the reading. It’s best to think about it ahead of time, and write down the questions in order of importance, but also remember to BE OPEN to the information coming through. You may think your career is your top priority in this session, but your guides may have another important message. Just like there needs to be a good connection between you and the reader on a psychic level, the same is true on a physical level. It can be very distracting for both you and the reader if one of you can’t hear the other or your cell phone keeps cutting out. Be sure the connection is clear. 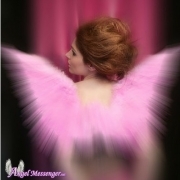 Schedule your session at a time when you can give your full attention. I once had a client try to talk to me while she was also in a meeting with someone else on another phone line. Again – show up fully. Eliminate as many distractions as you can. Your reader cannot focus when he/she is continually interrupted. Find a quiet space where you can relax and will not be disturbed. What kind of reading do you want? If you want to talk to loved ones who have passed, you need to talk with a Medium. Not every reader is a practiced Medium. Different readers use different modalities to connect and provide information for you. Some use Astrology and Numerology. Some use Tarot or Angel Cards. I once had a reading with the teacher of a celebrity psychic that cost several hundred dollars. She was incorrect about many things, and I didn’t feel much of a connection with her. I thought maybe some of her predictions would make sense over time, but they never did. Some of the best practitioners I’ve been to are more middle of the road pricing, but you can also find those who offer deals at psychic fairs, etc. 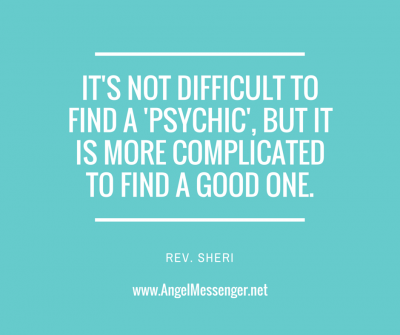 It’s not difficult to find a “psychic”, but it is a bit more complicated to find a good one. The best referrals are always word of mouth. Ask your friends who they’ve been to. What was their reading like? How did they feel when they left the practitioner’s office? New age shops can also be good places to look as they often have fairs/events where you can get a mini reading and try out the reader first. (Although, you should have realistic expectations with that as a 10 minute reading may not get really in-depth or answer all your questions – maybe start out with one specific question.) These shops may also be able to recommend the right reader for you. Just let go, be open to the process and the flow of energy! I hope this helps you find the perfect psychic reader for you. 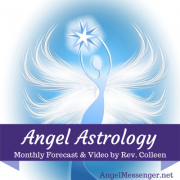 Remember, Angel Messenger offers Free Online Angel Card Readings. We also refer clients to one of the reputable sources for on-demand readings that we are affiliated with or one of our tested and trusted psychic practitioners. You can learn about them from our website under Current Authors in our footer. Once you choose a practitioner you can get to their website for scheduling from any of the articles they’ve written. If you have any additional questions you can contact us at our support desk. Psychic readings are so fascinating to me. It’s been the longest time since I’ve seen a psychic and after reading this post, I want to change that! I totally agree with what you said about finding the right fit. 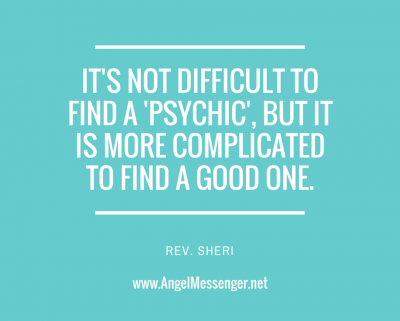 Its so true: there are tons of psychics out there, but not all of them will be exactly what you’re looking for. Thank you so much for all of these tips! 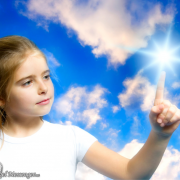 Wonderful tips to go by when getting a psychic reading! Thanks for sharing!